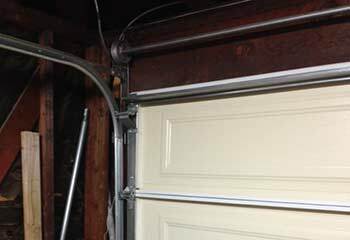 Having issues with your faulty garage door? We can help! 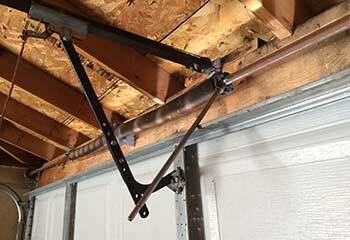 Being in the garage door business for so long, we know a thing or two about fixing them. Have a look at some of our latest projects and see how we can help you! Our Solution: Rust had claimed a substantial chunk of this customer's door, so we quickly removed the affected panels and installed new matching ones in their place. We gave the entire door a thorough examination afterwards, just to make sure no other component was compromised. Our Solution: This customer's door kept squeaking and grinding every time they'd use it, and it was also moving much slower than it used to. We quickly started inspecting all of the moving parts, and quickly discovered that the track had developed some bends. We straighten those out and made sure the door was moving smoothly and silently again. 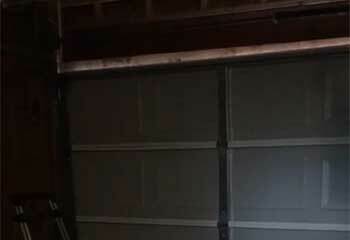 Customer Issue: Customer accidentally backed into his garage door with his pickup. Our Solution: Two panels were bent beyond repair. We replaced both with matching ones (white aluminum) and tested the door. 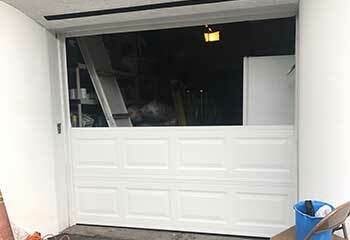 Customer Issue: Customers were interested in having a new garage door installed. Our Solution: We installed a new wooden Clopay over-head door from their classic collection. Customer Issue: Opener not responding. Our Solution: We found out the problem was with the old circuit board, and replaced it with a new one. 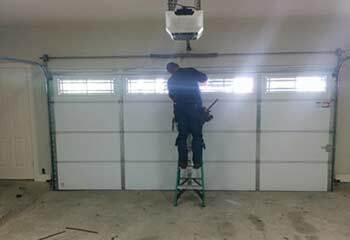 We're the number one team in town for friendly and reliable garage door service. We work with the best brands for both doors and opener systems. Count on our fast response! We'll get your garage door fixed ASAP. You can rely on our years of experience, professionalism, and speed.